Boss — Don’t Withhold Your Encouragement! 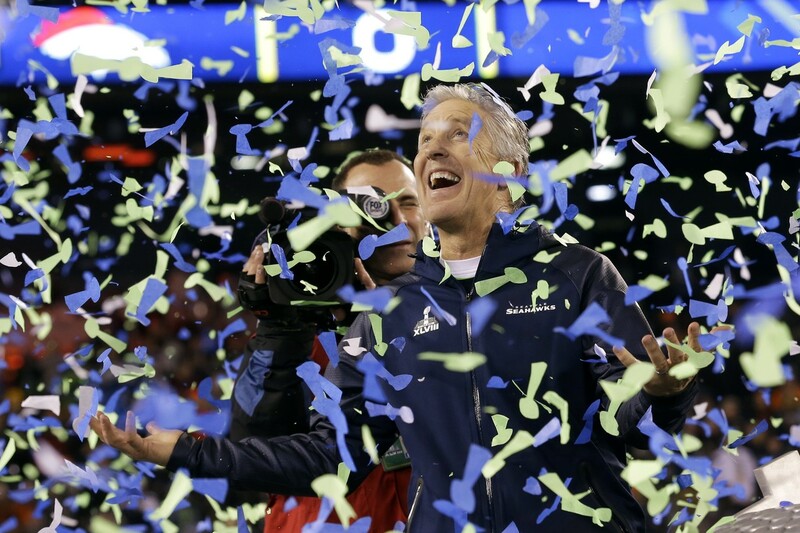 It was a magic moment — a beaming Seattle Seahawk Coach Pete Carroll showered with confetti as his team basked in the glow of their Super Bowl win. But obviously that moment came at the tail end of long months of tireless effort. What was it that Pete Carroll did as Seahawks head coach that helped propel his young, untested team to the pinnacle of achievement in the NFL? I’m sure there’s a long list of things he did do to build his Seahawk team. But based on what I’ve read and heard in the weeks since that memorable Super Bowl victory, there seems to be at least one thing Coach Carroll didn’t do: he didn’t withhold his encouragement. In post-game interviews, player after player repeated variations on the same theme. Pete Carroll builds us up — he lets us be ourselves — he builds on our strengths. He’s an encourager. That may be true for some people, but in four decades of workplace experience I have never seen it. Many things can breed a sense of workplace complacency, or more accurately workplace apathy, but I don’t think genuine encouragement is one of them. Quite the contrary, in fact: encouragement energizes. If the boss is distant, aloof, hard to please, or seemingly oblivious to an employee’s efforts, it’s demoralizing. Few things create workplace apathy more quickly than the sense that my efforts don’t matter. And as the example of Coach Carroll shows us, encouragement is NOT the enemy of performance! Maintain high standards. Hold people accountable. Don’t let up in your quest for excellence. You can do all these things and still encourage your workers by noticing them, complimenting their efforts, asking their opinions, praising them in public and reprimanding them in private. “Seek the good and praise it,” as the old saying goes. A word to you leaders: if you are the kind of person who willingly and freely gives encouragement, thank you. If you’re not, you can start today. Start offering sincere words of unqualified encouragement. At first your staff may react with skepticism — but keep it up. Your encouragement can be the wind beneath your employees’ wings — or its absence can be the anchor that keeps them tied down in frustration. Your call. Was Pete Carroll’s encouragement the only thing that caused the Seahawks to win the Super Bowl? Of course not. But take away that encouraging attitude, and the difference Coach Carroll’s encouragement clearly made, and the outcome might have been different. Something to think about! I was once the newest member of the “Downer Club.” I didn’t realize it at the time, and we never called it that, but that’s exactly what it was. We all worked for the same company, and I was the brand new sales rep, naive and eager to please. So after a few weeks on the job when I was invited to join a co-worker for breakfast, I jumped at the chance. After all, I wanted to make friends and fit in, and here was a great opening to do just that. And it got even better, because when we arrived at the restaurant I was surprised to see three or four of our co-workers already at the table. Apparently this group get-together took place on a regular basis, often every week, and now I had been invited in! Welcome to the Downer Club. Did I have the good sense to stop going after that first negative encounter? Are you kidding? Of course not! I wanted to fit in, to be part of the group. I had been a sales rep for maybe twenty minutes and I figured hanging around with my so-called colleagues would be a good, productive way to spend my time. And after a few of these breakfast gatherings I got to where I could come up with negative sob stories just like everybody else. The Downer Club had initiated a new convert. What I soon discovered was that I felt great during those breakfast sessions, hanging with my so-called friends, but I felt lousy afterward — negative about my job, my boss, and myself. The false high of being part of the peer group quickly gave way to the hangover caused by an overdose of negativity. I lasted in that job about six months. Could I have stayed longer, done better and not violated my boss’s trust in me when he hired me? Probably. But whether or not the job was the right one isn’t the point. I see now that my desire to run with the pack caused me to make toxic decisions. The so-called “power of positive thinking” may not be absolute, but I can attest to the power of negative thinking! It is guaranteed to be corrosive to your enthusiasm and productivity! So here’s a question for you: when it comes to your work, who is on your “Mental Committee”? Do you surround yourself with people who pick you up or who bring you down? I suggest that some self-examination may be in order. As for me, I changed jobs, got into a much healthier environment, and quickly came to realize that I had been part of the problem, choosing to surround myself with the wrong crowd. How about you? Is it time to turn in your membership card to the Downer Club? Boss — Don’t Waste Your Anger! Ah, the anger of the boss. It’s a powerful thing — too powerful to be wasted! Don’t believe me? Think back on a time when the boss, or the coach, or the team leader got really ticked off and started venting, not just at you but at everybody. I’ve been on sales teams where this happened: the sales manager was getting seriously frustrated with a few sales reps, but instead of dealing with the “problem children” privately, he decided it was best to chew out the whole team. Believe me, that sales meeting got really quiet, really fast. The boss wasted his anger on the whole team, and it didn’t accomplish what he thought it would. In fact, it was deeply counter-productive, breeding resentment and mistrust. 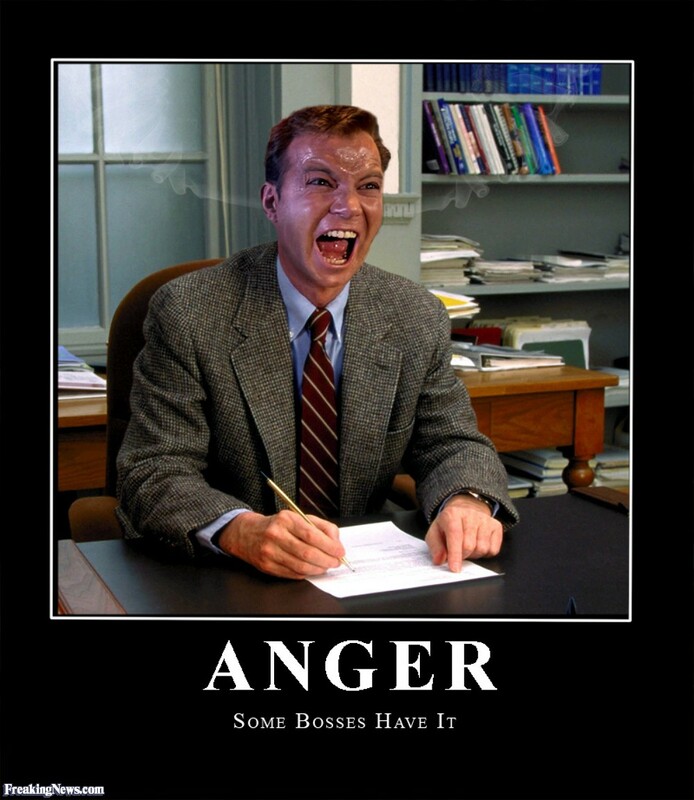 The Angry Boss also wastes his or her anger by blindsiding people in individual settings. In past sales jobs I’ve been in one-on-one meetings with my boss where I was suddenly on the receiving end of an angry outburst that caught me by surprise and felt unjustified. In meetings like that we tend to get really defensive really fast, and the quality of the communication goes downhill rapidly. Instead of engaging in fruitful problem-solving, we can’t wait to get out of the door. 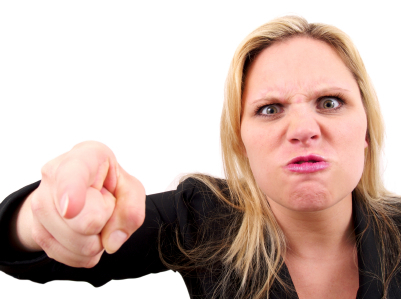 So, bosses, listen up: your anger is a powerful force. You may not realize it, but unless I miss my guess the majority of your employees or direct reports are highly attuned to your moods. I suspect they really do want to do a good job — and in so doing they actually want to help you look good. You have considerable power to establish the tone and culture of your organization, company or team through the careful management of your moods! Please, manage those moods wisely. You Old Testament fans may want to check out a great example of this leadership principle in the book of Nehemiah. In chapter 5 we read that the people working on rebuilding the wall around Jerusalem had to stop work due to acute financial stress. Had Nehemiah been like some bosses he might have come unglued at this work stoppage and started kicking rear ends — but he didn’t. Instead, as angry as he was with the situation, he took a deep breath and realized who was responsible: the self-centered so-called community leaders who were fleecing their own people. He went to these greedy gougers and confronted them head-on, got them to change their ways, and the work on the wall resumed. I suspect morale soared as well. So, leaders, those of us who report to you are asking you — please — use your anger carefully, wisely, selectively. Your anger can motivate a positive change or it can create deep resentment and chronic mistrust. Next time your temper starts to flare, take a breath, determine where the real problem lies, and use your anger like a scalpel, not a machete. Because of hard work and wise leadership, Nehemiah and his people got the wall built in only 52 days! I’ll bet your team can accomplish great things, too. They Can’t Say Yes — but They Can Say No! My first sales job was for an unnamed office products company nearly four decades ago. This was back in the day when almost every decision maker had a secretary — not an executive assistant or an office administrator but a secretary. Of course, our goal as salespeople was to get in front of the decision maker. 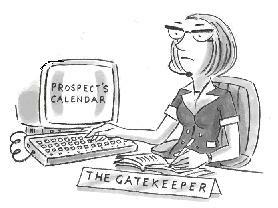 Therefore the central paradigm of our sales training went like this: the secretary is the gatekeeper keeping you away from the decision maker. Therefore it is vital that you learn ways to “get past the secretary.” I don’t recall any training designed to help us build credibility with the secretary so that she would become our ally and not our adversary. We were frequently reminded not to “waste time” talking with the secretary because she (back then almost always a “she”) did not have the power to say “Yes.” This may have been true. However, as I learned to my chagrin, she frequently did have the power to say “No.” The professional secretaries I encountered, like their executive assistant and office administrator counterparts today, wielded considerable influence earned over years of experience; and if they wished they could use that influence to help you win the sale — or to make sure your proposal ended up in the round file (no recycle bins in those days). One time I had made a presentation to a large concern in downtown Seattle. The order would have been a very good one for a junior salesperson to bring home, and getting this particular client to use our equipment would have represented a feather in the cap of my company, potentially leading to future sales down the road. So during the sales process (going against my relational instincts) I followed my training and worked my way past the secretary, doing absolutely nothing to earn her good will or to listen to the product features that might have been important to her. After all, who really knows the office environment — the secretary/admin professional or the so-called decision maker? Had I spent time asking her questions and listening for her insights I would have gained invaluable information and earned her trust in the process. But I didn’t. And as a result we lost the sale — because, as I later found out, the secretary preferred one relatively minor feature of my competitor’s product to mine. Could I have overcome this so-called objection? I’ll never know — but I’ll bet you a latte the answer would have been yes. Are you in sales or fundraising? Treating everyone with respect and courtesy is a given, of course — and if your behavior causes them to use their considerable influence on your behalf, so much the better. My suggestion is, don’t be as quick as I was to try to circumvent the very individuals who may be able to provide you with the greatest assistance! That so-called “gatekeeper” may not have the power to say “Yes” to your proposal, but he or she can very likely say “No” — and that’s a word we would rather not hear, isn’t it? Do you have a prospect who is too nice to make a decision? Sometimes the people we find most enjoyable to deal with can be the most frustrating — that is, if we’re trying to get them to make a decision. Those of us in fundraising and in sales know this experience well. We establish a wonderful, warm relationship with a prospect. We build rapport over time. We gain trust. They seem to look forward to our calls or visits. Eventually we earn the right to ask for the order, or the gift, so we ask. And in return for all our work, we get — indecision. Vacillation. The sound of crickets. 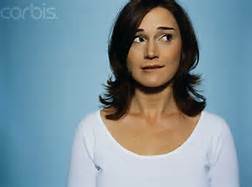 The problem is, some of our most warm-hearted, most relational prospects seem to have a terrible time making a decision! Why does this phenomenon happen? Why do some of the nicest people we deal with turn out to be the most indecisive? Seems to me there are a couple of common reasons. Maybe we haven’t given them enough information. Maybe we haven’t given them enough time. Or maybe — just maybe — they don’t want to hurt our feelings. Whatever the reason, when this happens, you and I are in a bit of a dilemma. Push too hard for the order or the gift and we run the risk of alienating the prospect. But if we tread too lightly in the interest of maintaining the relationship, we remain in a state of indecision and paralysis. If we’re intent on closing the sale or getting the gift, it’s incumbent on us to figure out what’s going on. The best way to do that, as we know, is to ask. Maybe our obvious first question could be a simple one: “Have I given you enough information?” Chances are we have, but it’s good to double check. Pinning down any missing data might help us get the conversation off dead center. The second question, about whether they need more time, is trickier. If we ask, “Have I given you enough time?” they may say “No” just to keep on delaying. It’s probably better to pin down a specific time when we can ask again. We might say, “Will there be a better time soon when we can talk about this again?” Or “I understand if you’re not sure right now. How about if we talk about this again next Tuesday?” Our goal is closure, and this might help. 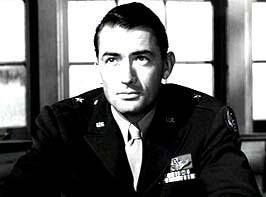 But I’ll bet you a dollar (just a figure of speech…) that the real problem with the indecisive prospect is quite likely that they don’t want to hurt our feelings by turning down our proposal. If we suspect that’s what’s going on, we can make it easier for them to be honest with us. If the trust level in the relationship is as high as we think it is, it should be fairly simple for us to have an honest conversation that can put them at ease. Let them know they can be straightforward with us. Let them know we appreciate the relationship very much. And let them know that it’s okay if the answer is “No” or if our proposal was somehow off target. Hopefully our honesty will defuse the tension our relational prospect is feeling and open the door to continued conversation, and maybe a positive decision down the line.